- Description: VITO MAC-150 is a yellow stain remover expressly formulated for a deep and complete action on any kind of yellow wood stain or any other stain or simply. Alien to the nature of the treated materials (floors, walls, slabs, stairs, balconies etc.) 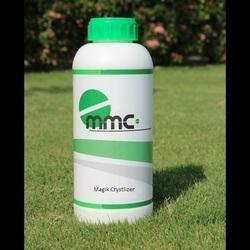 to restore to the original crystal shine. - Compatible with a wide variety of marble, limestone, and terrazzo. - Produces a durable surface. - Creates a slip resistant surface. - Does not contain wax. 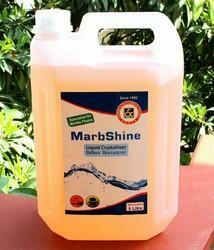 Aimed at prosperous growth in this domain, we are instrumental in offering an excellent quality range of Liquid Shiner. With an objective to fulfill the ever-evolving demands of our clients, we are engaged in offering a wide assortment of Marble Polish. Liquid Marble MaintainerIt keeps the Marble Shining for long time. Spray directly on the marble. Use white pad, keep buffing until it get dry. It covers around 400-700 sq ft.